You don’t have to sacrifice your favorite activities to stick to your budget. With some careful planning and simple tricks, you can live rich on a budget without missing out. Here’s how to treat yourself without sinking your budget. The average cost of a four-day domestic vacation is $581 per person, and a 12-day international trip averages out to $3,251, according to the Bureau of Labor Statistics Consumer Expenditure Survey. 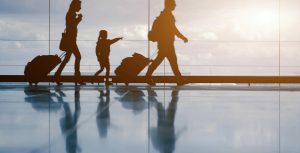 Getting to your destination typically consumes nearly half of the overall cost, while lodging costs take up about 26 percent of domestic vacation expenses and 21 percent of international trip expenses. To stick to your budget when traveling, consider taking advantage of frequent flier miles or credit card rewards that can be converted to airline miles or used to pay for hotels or other travel perks. If you have a flexible schedule for your trip, you can also sign up for airfare price alerts to stay updated when the cost of flights to your desired destination fall within your set budget. Sign up for airline email newsletters, follow airlines on Twitter and check prices on the airline websites directly, as well as on travel sites like Kayak and Expedia. To cut the cost of lodging, take a look at hotel alternatives like Airbnb, HomeAway and travelmob. You’re better off booking an Airbnb than a hotel if traveling to several major domestic and international cities, including Boston, Chicago, Los Angeles, New York, Portland, Seattle, London, Sydney, Paris and Toronto, according to bus ticket comparison site Busbud. If you’re traveling internationally, take a look at hostels, as well. If you are staying in a hotel, choose one with a free continental breakfast to knock out the cost of one meal each day. Going out can get expensive quickly. The cost of soaking up culture with dinner and a movie, concert or trip to a ball game or museum adds up, but you can easily stick to your budget with a few simple tricks. Average movie ticket prices have hit an all-time high in the U.S., increasing from $8.17 in 2014 to $8.43 in 2015, according to the National Association of Theatre Owners. Add to that the cost of popcorn, candy and a soda, and you’ve got an expensive date night or family outing. To save money, skip the movie theater concessions, and consider taking in a matinee show or searching for a local dollar theater, where movies that have been out for a few months are shown at a much cheaper price. Of course, you can also opt to enjoy a movie from your couch with streaming services like Netflix and Amazon Prime. If you’re interested in art, history and culture, a trip to a museum might be more up your alley. Although many museums are free, others have hefty entrance fees. However, many museums offer a discount day or free admittance day each week or month. Many offer discounts for students, teachers and members of the military, as well. 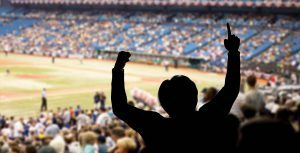 You can save money on tickets to your favorite sporting events by attending weeknight games instead of weekend contests, or try waiting until game day to snag your tickets. According to SeatGeek.com, the early bird doesn’t always get the worm. Major League Baseball game tickets cost about 37 percent less on the day of the game than those purchased 30 days in advance, CNBC reported. Live rich on a budget, and treat yourself to five-star restaurant quality foods without breaking the bank with a five-star tab by keeping track of your local restaurant weeks. 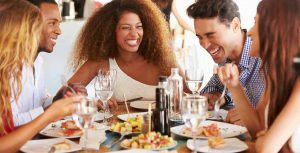 It’s a great way to impress a date or enjoy a night out with friends at a dining establishment you wouldn’t normally consider due to menu prices. Many cities across the U.S. now organize annual or bi-annual restaurant weeks in which participating restaurants offer set menus at discounted prices. Even major cities like New York City, with celebrity chefs and lavish dining options, offer restaurant week deals. This year, the official NYC restaurant week runs July 25 to Aug. 19 and offers a three-course lunch for $29 or three-course dinner for only $42. Also, don’t miss out on special deals to your favorite local joints by signing up for accounts with Groupon and LivingSocial. You can find many opportunities to keep your dining-out budget to a minimum. You don’t have to break the bank to rock the latest trends or look like a star walking the red carpet at your next special event. Keep track of daily deal sites like Gilt and Rue La La, and even deal sites like Groupon and LivingSocial, to snag designer goods for a fraction of the price. 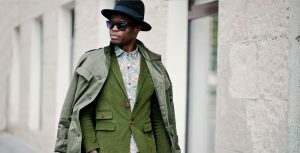 You might also consider cutting clutter and saving money with a capsule wardrobe — the secret weapon of fashion bloggers and style gurus, according to Today.com. A capsule wardrobe is a small collection of quality clothing items that easily mix and match, usually varied according to season. This simplified wardrobe eliminates the clothes you rarely ever wear and encourages you to buy fewer items each season, saving money in the process. For your next special event, whether it’s a wedding, work party or charity gala, skip the expensive department stores and head to luxury clothing rental websites like Rent the Runway and Bag, Borrow or Steal. These sites allow you to rent designer clothes, accessories and jewelry without paying the designer price tag. The rich and famous have more time and money to spend on luxurious lifestyle services like personal trainers and extreme spa services. Luxury gym memberships can cost hundreds of dollars per month — a membership to New York City’s elite fitness club Equinox starts at $180 a month — and personal trainers even at budget gyms, like Blink, can cost $30 or more per half hour, The Wall Street Journal reported. But you don’t have to have the bank account of a celebrity to treat yourself every once in a while. You can save hundreds of dollars on expensive gym memberships, personal trainers and lavish spa treatments by doing it yourself at home. These days, you can find free personal trainers online and in the palm of your hand via phone apps. FitnessBlender.com, created by a husband and wife personal training team, offers more than 500 free workout videos that all require little or no equipment besides your own body and some space in your living room. The free Nike+ Training Club app provides more than 100 workouts designed by professional trainers and athletes, and customizable fitness programs that you can access from any connected device. That celebrity glow can be achieved by ditching expensive spa treatments and opting for do-it-yourself versions. Skip the $750 facial and instead mix up your own face scrub with ingredients you already have at home — baking soda, your favorite facial cleanser and water, reported lifestyle website SheKnows.com. If you’re feeling adventurous, RealSimple.com suggested a brightening facial made of an egg white, ½ cup of your favorite beer and 2 teaspoons of fresh lime juice.